Noodles & Company, serving classic noodle and pasta dishes from around the world, announced it will open its newest location in Chicago, IL in Roscoe Square on Monday, January 19. The restaurant will open at 10:30AM and is located at 3336 A Western Ave.
consists of more than 25 fresh, customizable dishes that are prepared quickly with quality ingredients. Favorites include the sweet and spicy Japanese Pan Noodles, zesty Pesto Cavatappi and the popular Wisconsin Mac & Cheese. program that will be available at this new location, serving groups anywhere from 20 to 200. Noodles Catering includes the company’s NoodlesBar offering, serving buffet style meals comprised of main entrées, sides and a dessert for groups to enjoy at any social, family or corporate event. Each catering order is priced at only $12 per person. For a limited time only, Noodles & Company is featuring two new dishes on their menu. The Buffalo Chicken Mac & Cheese unites the flavor of chicken wings and our classic mac, topped with parmesan cheese, buffalo sauce, blue cheese crumbles and green onions. The Fig & Pig Flatbread consists of caramelized onions, naturally raised, slow-braised pork, crumbled feta and parmesan cheese on a toasted flatbread, drizzled with Balsamic Fig-infused oil and topped with more feta cheese and an Arcadian Lettuce mix. The 2,600 square-foot Roscoe Square Noodles & Company, which has seating for 75 guests inside the dining room and 10 guests on the outside patio, will be the 18th location in the greater Chicago area and 55th location in the state of Illinois. Regular restaurant hours will be Sunday through Wednesday, 10:30AM to 9:00PM, Thursday through Saturday from 10:30AM to 10:00PM. To place a take out order, please call the restaurant directly at (773) 248-8787 or order online at noodles.com/orderonline.
. Noodlegram members receive news, offers and exclusive information on Grand Openings, VIP Events, seasonal specialties, giveaways and more. For more information on Noodles & Company, please visit www.noodles.com or check us out on Facebook and Twitter. is a fast-casual restaurant chain where its globally inspired dishes come together to create Your World Kitchen. It is a restaurant where Japanese Pan Noodles rest comfortably next to Penne Rosa and Wisconsin Mac & Cheese, but where world flavors don’t end at just noodles. Inspired by some of the world’s most celebrated flavor combinations, Noodle & Company’s menu offers appetizers, soups, salads and sandwiches, too. Everything is made fresh to order, just as you like it, using quality ingredients. Dishes are delivered to the table allowing guests time to sit and relax or grab a quick bite. With more than 400 locations nationwide, from California to Connecticut, guests can find a location nearest them and take a tour of the global menu by visiting www.noodles.com. 2014 was a year of record growth for Mother Jones. The national investigative news outlet saw a 70 percent increase in traffic overall and its social audience grew 41 percent over the previous year. MoJo nabbed 16 top industry awards and nearly 40 nominations, including a just-announced National Magazine Award nomination for General Excellence. In the last several years, MoJo has reinvented itself from a bimonthly print publication (200,000 circulation) to a 24/7 multiplatform news outlet reaching 9 million readers a month. "We decided to take the ethos of longform investigative journalism daily and digital," says President and CEO Madeleine Buckingham. "And in so doing, perhaps no magazine has better demonstrated how the internet can enable a niche publication to grow into a serious player in the news ecosystem." 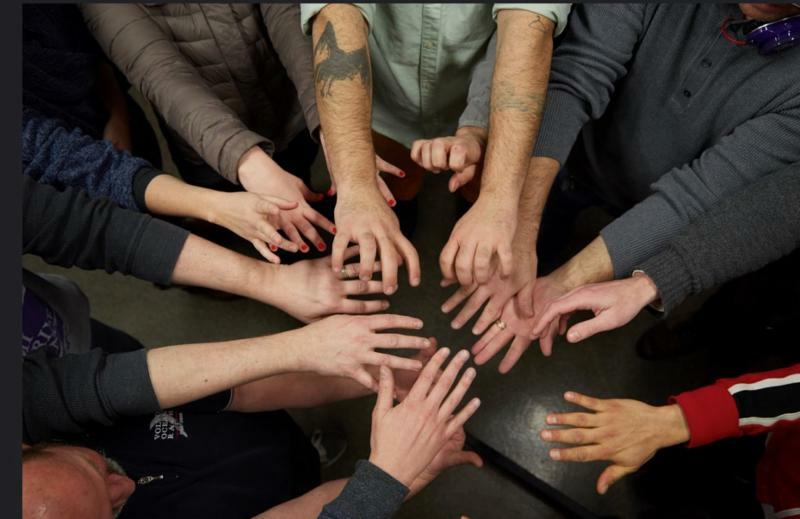 Today Mother Jones has a staff of 75 employees in three offices across the nation. Its mix of diversified revenue streams includes support from 40,000 individual donors--among the largest donor groups of any nonprofit news outlet--circulation income, and advertising, which saw an 8.7 percent increase in sales in 2014. Breaking the story of child migrants fleeing Central America and crossing the US border, news that has culminated in an executive order from President Obama. An in-depth investigation into the safety of BPA-free plastics sparked an expansive industry review. A Harvard School of Public Health study on MoJo's mass shootings database confirmed that the incidents have tripled in frequency since 2011. A multimedia investigation and documentary on the emerging fracking boom in China, screening at film festivals in 2015. The launch of Inquiring Minds, one of iTunes' most popular science podcasts. "We've managed to combine solid journalism and continuous innovation," says Co-Editor Clara Jeffery, "Our audience responds to--and shares--journalism that is both fresh and first-rate; we look forward to producing more of the same in 2015." Mother Jones welcomes story editor Marianne Szegedy-Maszak and reporter Pema Levy to its DC reporting bureau this month. The Conservation Center would like to wish everyone a Happy New Year, and genuinely hope that 2015 brings goods tidings to you all. The freezing winds have blown some very interesting projects our way this January. 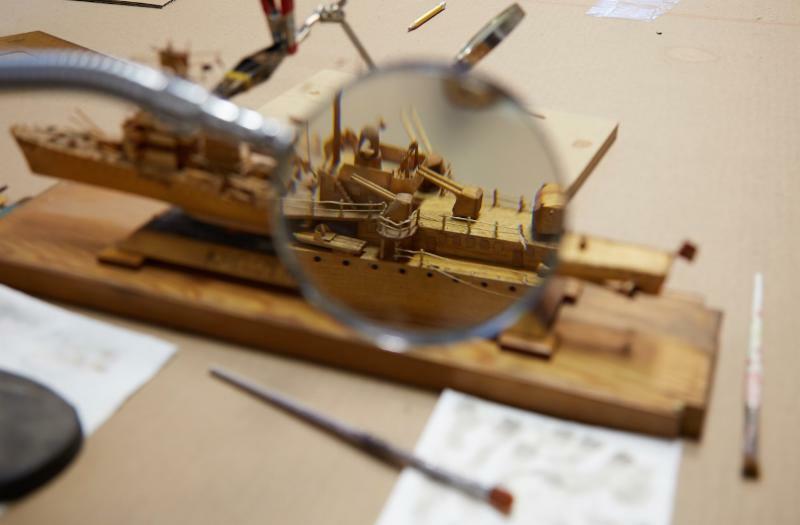 In from the Robert R. McCormick Museum, we treated a wooden model replica of a WWII naval cruiser. Affixed with tiny, brittle flags and a plethora of unstable, toothpick-sized parts that should ideally move and operate like those on a real ship, our conservators had their work cut out for them to get this piece in working condition. Also, we thoroughly examined a relatively unknown Ed Paschke piece titled Yellow Lady from the early days of his career. Through the process, our conservators unearthed some valuable details about the painting. 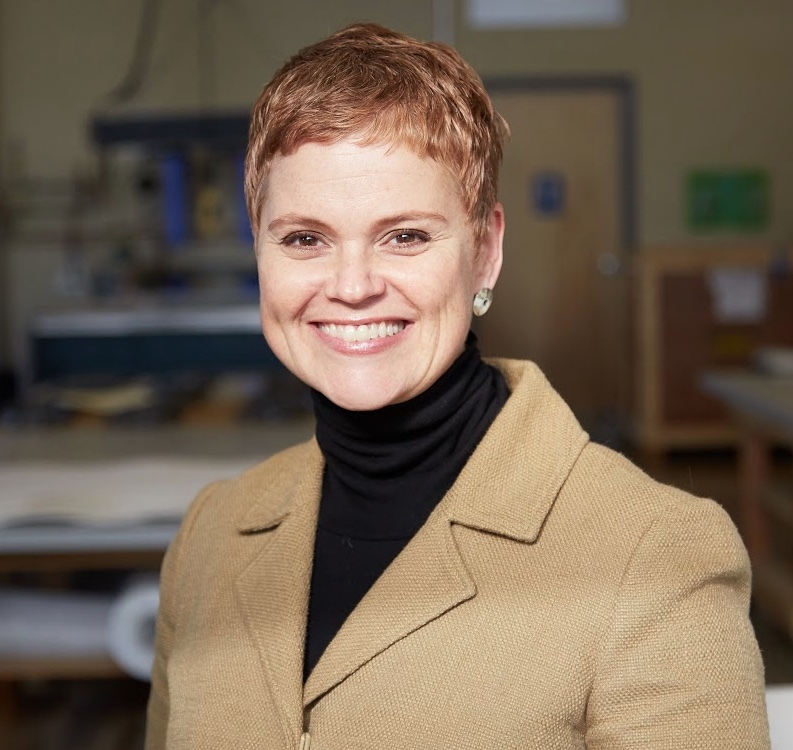 Finally, The Conservation Center welcomes Patience Yvette Marmer to our team as Vice President of Client Services. We are positively thrilled to have her on board! Well before Matt Groening's Marge Simpson character became a pop icon, artist Ed Paschke (1939-2004) created his own version of a Yellow Lady in 1969. While only minor conservation was needed for this vibrant painting, the private collector knew very little about its history, causing us to reach out to the Ed Paschke Foundation and even the artist's daughter, Sharon Paschke. Neither was familiar of the piece's existence, and Sharon, especially, was excited to see a new example of her father's early work. In order to discover more about this very special Yellow Lady, we studied the canvas under ultraviolet light and found some surprising details. With these new findings, The Conservation Center was able to shed new light on this painting for its owner as well as the Paschke family. The Conservation Center is pleased to announce the opening of its first staff art exhibition. Entitled ALTEREGOS, this assembly of work in a broad range of media is the first officially sponsored staff showing in The Center's 30-plus-year history. ALTEREGOS will be on view for two weeks at Packer Schopf Gallery, from February 20 through March 7, 2015. "We are so grateful to Aron Packer, who offered to host our first employee exhibition at his space," said Heather Becker, CEO of The Conservation Center. "I'm also extremely proud of our diverse group of talented artists who happen to be staff members of The Center." The public is cordially invited to attend the opening reception. Please e-mail to RSVP: rsvp@theconservationcenter.com. , tweet with The Shaw's Mermaid at www.twitter.com/shellyfromshaws or keep up on Facebook at www.facebook.com/shawscrabhouse andwww.facebook.com/ShawsCrabHouseSchaumburg. Who is this Marguerite and what is Historica Clothiers? What's old isn't new; it's timeless! New Chicagoland-based clothier brings the historical elegance of the 18th century through the 1940s into practical, stylish, fashions for 21st-century men and women. The designers at Historica Clothiers have a mission: creating fashion that's not just something to wear, but an experience that people want to share. "Clothing is about staying covered, fashion is how we identify ourselves and romanticize our lives. That same romanticism is what draws peoples to historically-inspired movies and vintage styles," says Nicole Allen, Historica's founder and lead-designer. Allen felt that the time was ripe for what she calls "historically-inspired, modern clothing". The concept is not to be tied to any particular era but rather to draw inspiration across history to create contemporary clothing that has historical flare and elegance, without reading as costume -- a way to address the decided lack of dress clothes that have flare and romance.
) she founded in 2002, Allen herself is particularly well-suited to blending the old with the new and the elegant with the funky to create coherent, new designs. "Many hobbies such as historical reenactment or Steampunk [a movement of Victoriana spiced up with Jules Verne-esque gizmos] are really just one more way that modern people try creatively expressing themselves in a world of black cocktail dresses and ill fitting jeans. At the same time, for years, people who would never be caught dead in a "costume" have stopped me on the street to say 'I love what you are wearing, but I could never dress like that.' Well, no one gave me permission! "So Historica gives its patrons "permission", complete with options, inspiration and confidence to express themselves sartorially. Drawing on the flare and romance of past eras and bringing it into a contemporary line of dress clothes, the innovative product line currently consists of four men's and four women's fashions, each with a personalized name and a storyline as a way to invite patrons into to another world. But, Allen says, "the real point is for you to make it your own, and create your own story.” To show off that potential in each piece our models are real people we invite to dress up with our clothes as they see fit - from high heals and hats to jeans and kilts. Historica is excited to offer well-made, tailored garments, that can fill an unanswered demand for original designs whose styling stands out without being so flamboyant to look out place in everyday settings. It is almost equally proud of being able to do this in all-female business whose production is centered entirely in Chicago -- ensuring both high quality and fair wages for all involved. In short, the company seeks to be as unique as the products it produces. Says Allen, "Our take away message is simple: You don’t need permission. Don’t dress like everyone else; step out of the mold and bring a new level of creativity, style and FUN to your personal image!" 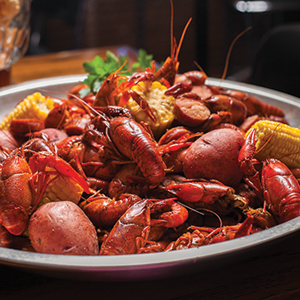 Luella's Southern Kitchen is a warm and heartfelt neighborhood BYOB restaurant to enjoy a delicious, satisfying meal with your loved one on Valentine's Day. Nothing fills the heart better than a great Southern meal and Chef/Owner Darnell Reed helps you celebrate with his exciting Valentine's weekend menu, served Friday, February 13 and Saturday, February 14. The price is $90 per couple. Luella's excellent regular menu, filled with flavorful regional Southern favorites, also will be available on both days. Luella's special Valentine's menu begins with a bowl of hearty Seafood Gumbo, topped with Fried Oysters. The meal continues with a fresh Spinach and Clementine Salad with Spiced Candied Pecans, Goat Cheese and Honey/Ancho Chili Vinaigrette. Guests will have a choice of entrée, either the Blue Corn Dusted Crab Cake with Crawfish Remoulade Roasted Potatoes and Glazed Brussels Sprouts or the hearty Braised Short Ribs with Carolina Gold Rice Grits and Roasted Carrots. The sweet finale is a luscious Chocolate and Pineapple Upside-down Cake with Brown Sugar Ice Cream. For Valentine's weekend dinner reservations, please call the restaurant at (773) 961-8196. Maxwell's At The Club is a River North dining gem. Located in the renowned East Bank Club, this upscale contemporary American restaurant is always open to the public. With its exceptional food and service, Maxwell's is a gracious way to enjoy a delicious Valentine's Eve dinner, which will be served on Friday, February 13 only (Maxwell's is closed on Saturdays). To celebrate this romantic evening, Maxwell's is preparing luxurious, candle-lit tables with white tablecloths and beautiful adornments. An extra special prix fixe menu will accompany the regular dinner menu. The price for the special prix fixe is $45 per person. The dinner will include choice of appetizer, salad or soup, entrée and dessert. Entrée choices include lobster tail, fresh seafood, New York strip steak and filet mignon. Maxwell's also has an excellent wine list, enabling you to find the perfect pairings to enjoy with your food.